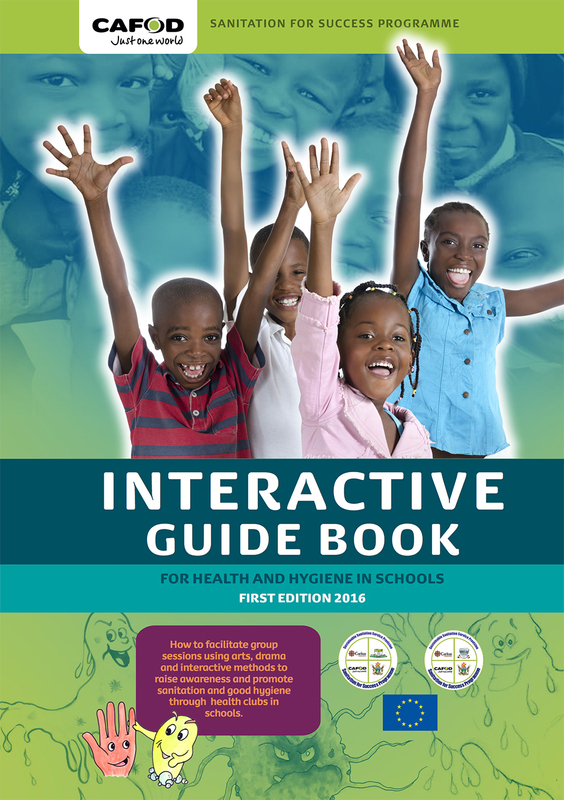 A guidebook and training on how to facilitate group sessions using arts, drama and interactive methods to raise awareness and promote sanitation and good hygiene through health clubs in schools in Zimbabwe. Safe drinking water in schools leads to more pupils in school, fully participating, more of the time. Girl’s enrolment and attendance tends to be greatly improved if schools provide private sanitation facilities. Improved sanitation and hygiene outside school leads to higher attendance in school – as less pupils are absent due to situations relating to diarrhoea or fetching water. In addition, to educational benefits for children and young people, Child mortality rates are radically improved and infectious diseases and worm infections are reduced. Training teachers in how to lead interactive learning sessions in Hygiene and Health Clubs (HCCS0 also enabled teachers to collaborate on developing the guide. HHCs are part of ‘SANITATION FOR SUCCESS’ and play a crucial role in sustainably improving living conditions, health, human dignity, economic productivity and the environment in poor urban and peri-urban areas of Nyanga and Murehwa, Zimbabwe.